Lumiere: [Beast glumly walks away as Lumiere sees the present that Belle left for him] Oooooh, it's for you, Master. It's from - a girl. Beast: [Looking back] Mrs. Potts? Lumiere: [Irate] No, from Belle! Lumiere: Ah-ah-ah, Master, you can't open it! Beast: Why not? It's for me, isn't it? Lumiere: Because it's not yet Christmas. Lumiere: Master, we all understand how you feel about Christmas. But when a woman gives a man a gift, she's saying, "I care about you." Beast: But I don't have a gift for her. Lumiere: It's not too late. Beast: [huffs again] Well, I guess I'll get her a little something. Beast: You said you'd never leave. Belle: I wasn't trying to leave. I was just trying to make you happy. Beast: You broke your word. And for that, you'll rot in this dungeon forever. Belle: [tearfully] I should've known you'd never be anything - but a beast. Beast: [as Forte plays] Forte! Stop the noise! Forte: This is my masterpiece. Forte: [after the flashback to the Beast's transformation] But we've come so far since then. We've - risen above the tragedy. Beast: [growling, he knocks his chair over, wondering where Belle is] Where is sheeee? Forte: I believe she's gone to the boiler room, or - so a little birdie told me. Fife: [chuckles nervously] Tweet, tweet, tweet! Forte: Ha ha ha ha ha ha ha! Beast: [bellows] Christmas? She's planning Christmas? Forte: Yes. Awful, isn't it? Beast: [sitting down at his chair in front of the fireplace] Perhaps she doesn't know how I feel about Christmas. Forte: But she does know. She just doesn't care, like I do. She's actually trying to bring Christmas back to the castle. And you know how much we despise Christmas. Beast: [sighs] The day my life ended. Belle: It's a... a Yule log. Belle: A Yule log. It's a wonderful tradition. One log is chosen, and everyone in the house touches it and makes a Christmas wish. Beast: Wishes are stupid. You made a Christmas wish last year. Is this what you wished for? 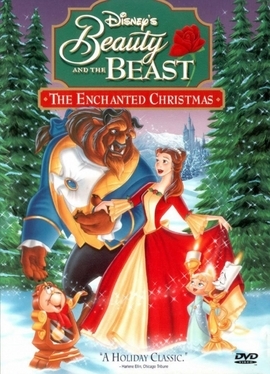 Beast: There will BE no Christmas. Beast: [shouts] NO! I am the master here! Belle: [horrified] How can you be so selfish? Belle: Prisoner? The only one holding us prisoner here is you. Well, I'm not giving up! Belle: Oh, hello. Chip, do you know what day it is? Belle: No, silly. Today is December 24th. The day before Christmas. Lumiere: And what a beautiful day it is. Lumiere: [as he rides on Cogsworth down a hill to catch up with Belle, who is getting a Christmas tree] I think we've finally found a use for you: clock boarding; No, snow clocking! Whatever! Ha-ha! Belle: [singing] You belong side by side, you should never be apart, 'cause when you're both together, you're really twice as smart. Cogsworth: [spoken] Twice as smart... she does have a point. Lumiere: Yes. Well, two heads are better than one. Forte: Mademoiselle, please. I am Maestro Forte, court composer and your most humble servant. Belle: Please to meet you, Monsieur Forte. I'm Belle. Fife: Maestro! Stop! Just what do you think you're doing? Forte: Don't you see, Fife? They can't fall in love if they're DEAD! Fife: [furiously] I'll tell you what I see: a big old windbag! Forte: [plays loud music] You could've joined me, Fife! But I see my triumph is a solo act! Fife: My solo - it's blank! Forte: So, Beast gets girl and it's a happy ending for everyone. Enchantment lifted and Forte fades into the background, no longer important, no longer needed. I think not! Lumiere: And you said it was impossible! Angelique: No, no, no. I said it was impossible without - me. Chip: Belle... what's - Christmas? Belle: Oh, Chip, you must know about Christmas. Stockings in front of the fire. Tree? Tinsel? Presents? Chip: Presents! Will I get one? Belle: Of course, everyone gets a present on Christmas. Chip: Aw, even the master? Belle: Yes, even the master. Chip: Doesn't look so special to me. Belle: Oh, Chip, I'm sorry. Nothing's changed. Angelique: I told you nothing would change. I told you the master would not allow this. I told you Christmas was a hopeless folly. But, I was wrong. Angelique: There'll always be Christmas. Belle: So there always will be a time when the world is filled with peace and love. Angelique: [as she guards the dining room] No, no, no, no, no, no, no! They cannot mix bells with holly. Although, I have to admit, not bad for amateurs. Angelique: [solemnly] I knew this was hopeless. Enchantress: You have been deceived by your own cold heart - a curse upon your house and all within it. Enchantress: Until you have found someone to love you as you are, you shall remain forever a beast. Chip: That's not a tree! That's just a weed wishin' it was a tree! Chip: 1,001. 1,002. 1,003. Are we there yet? Beast: on, on the ice.